Asian Beetle Control in Wisconsin and Minnesota. Asian Lady Beetle control in the entire Minneapolis, St Paul Metro Area, and Western Wisconsin. APS...Stopping the Bugs that Bug You! 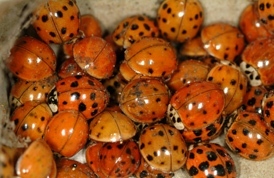 American Pest Solutions has been treating homes for Asian Lady Beetles for many years. Our yearly proactive program consists of two exterior asian beetle treatments. 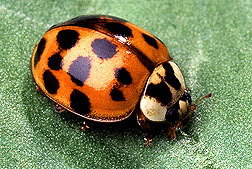 These treatments eliminate the pain of having hundreds of asian beetles infesting your home. For a one time fee you are covered for asian beetle control for the year. Fall only treatments are also available. Call Now! and talk to one of our asian beetle control experts or to schedule an appointment. Click on the link below and ask online questions about our asian beetle control services. Your questions will be answered within one business day.